John Griffith 'Jack' London (1876-1916) was a popular American novelist, journalist, and social activist. 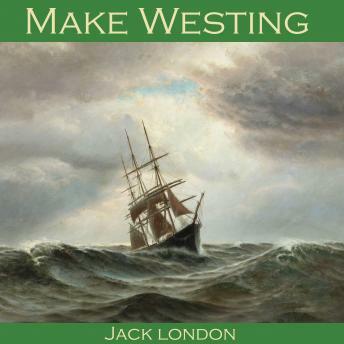 'Make Westing' is a story of a ship, the Mary Rogers, struggling to round Cape Horn in adverse weather. The way to round the Horn is always to 'make westing'. As time goes on, Captain Dan Cullen becomes more and more obsessed with making westing at all costs. When a sailor accidently falls overboard, he refuses to stop and rescue the drowning man. The ship's only passenger, Mr George Dorety, is horrified by this and determines to see justice done.